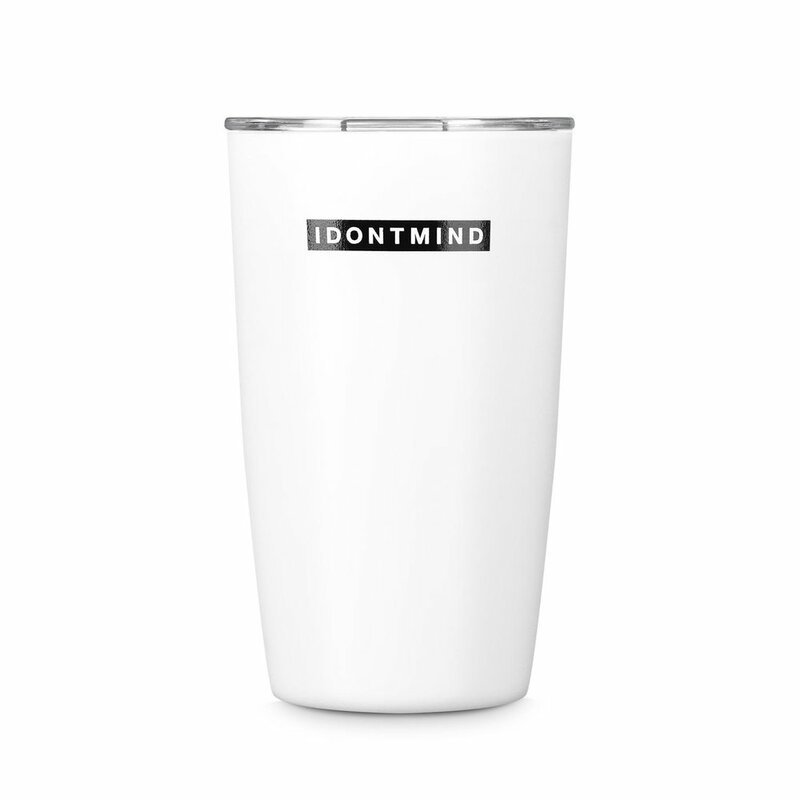 Center Travel Tumbler - IDONTMIND - Your mind matters. Talk about it. Take a breath, center yourself, and greet the day with the Center Travel Tumbler. 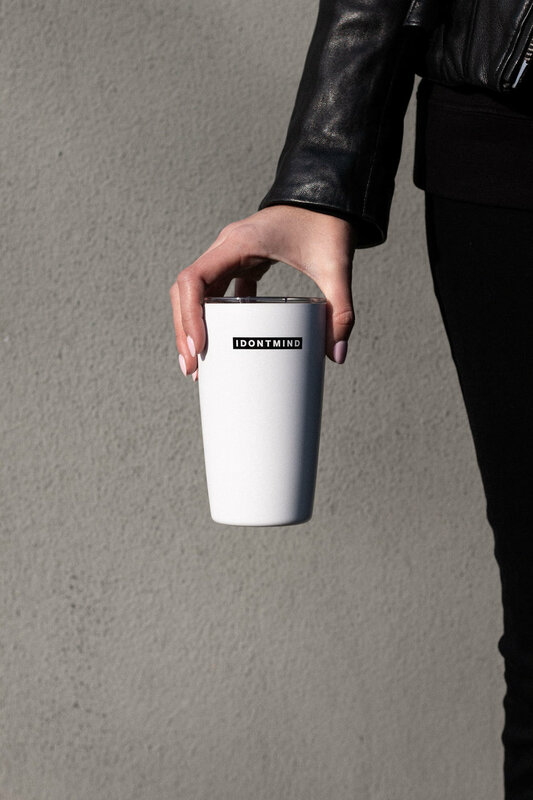 MiiR tumblers are inspired by the timeless paper cup. This vacuum insulated stainless steel tumbler is simple, easy to travel with, and fits comfortably in both your cupholder and daily routine. 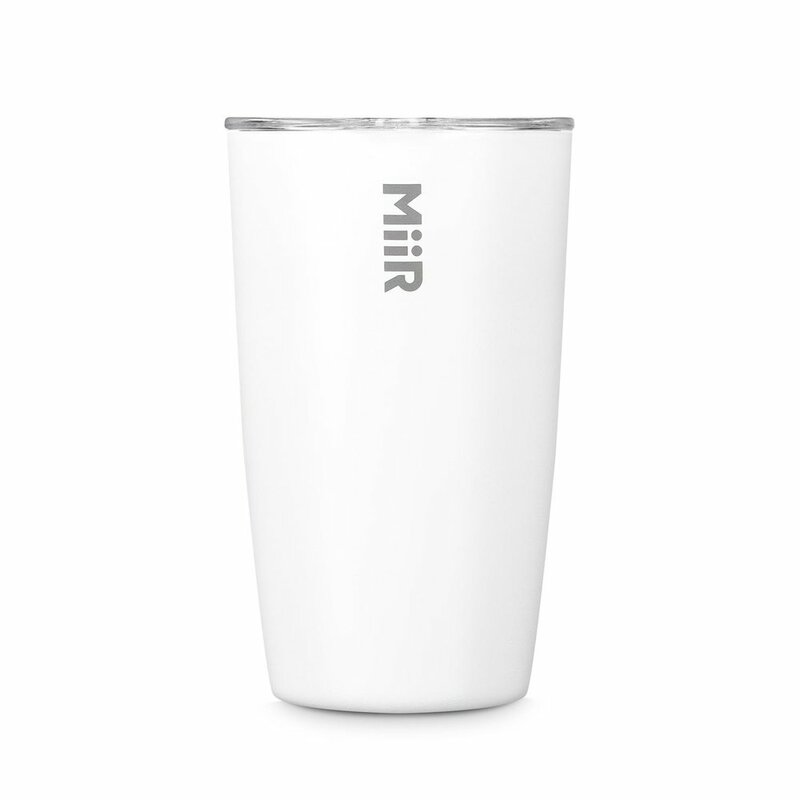 From coffee tumbler to iced tea cup, the MiiR double wall vacuum insulated tumbler will keep your drink hot or cold longer. 12 oz. Black IDONTMIND logo printed on front, MiiR logo printed on back in grey.